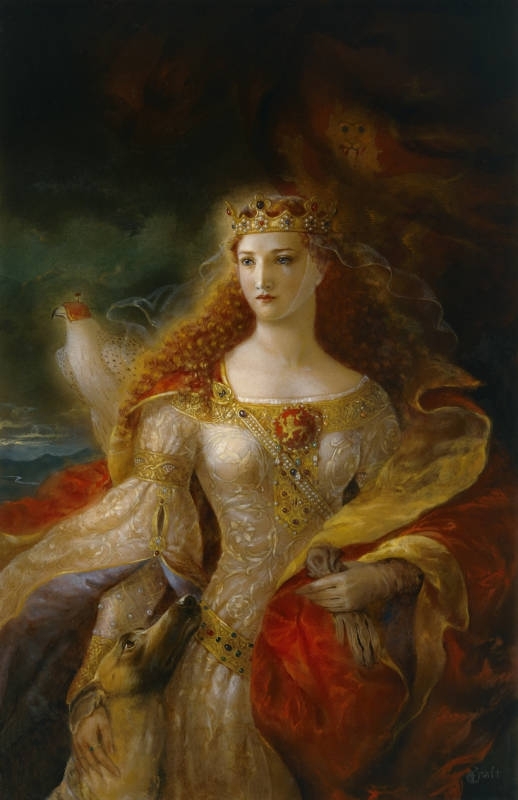 Who was Eleonor of Aquitaine? Our hotel owes its name to Eleonor (Leonor in Spanish) of Aquitaine. Many of the historians who have dealt with the subject of the conquest of Cuenca, when talking about the king who managed to carry out such a feat, Alfonso VIII, state that she was his wife. The mistake is not just in the historical fact within itself but also, as well as our hotel, the city has a polyphonic chorus with references to said name. Without doubt, it is a mistake that early historians made but, since it has been repeated so many times, it has become a legend. The historical reality takes us to a woman in the Middle Ages with a controversial life like few at the time, especially if we take into account that she was a girl. Daughter of WIlliam X of Aquitaine, she inherited her father’s duchy as well as the shire of Poitou. She was queen of France when she married the king Louis VII and then, after divorcing him, she married Henry II of England. This way she became related to two of the most powerful dynasties of 12th-century Europe: the French Capetians and the English Plantagenets. However, a woman of that time, when managing to really stand out, was harassed by envious people who empowered a dark legend of immorality about her life. And so, who was the real wife of Alfonso VIII? Well, it was precisely her daughter, who also shared her name. To differentiate one from the other, the latter was historically called Eleonor of England. Eleonor of England, or Eleonor of Plantagenet, was born in September 1161 in the Norman city of Domfront. She was the sixth daughter of the marriage between Eleonor of Aquitaine and Henry II. In the year 1170, in the city of Burgos, she married future king Alfonso VIII. Many children were born from that marriage, no less than 10 boys and girls. Eleonor brought the shire of Gascony as a wedding dowry, which Alfonso was never able to annex to the Crown of Castile. However, it is true that many Gascon knights came to the Iberian Peninsula to help their king in the fight against the Moors. They intervened in the conquest of Cuenca and founded places like Gascueña, Gascas (today submerged under the waters of the Alarcón swamp), Los Gascones (deserted under the name of Valparaíso de Arriba) and Gascañuela (deserted, close to Alcohujate). Educated in a much more cultured court than the Castilian, surrounded by artists, she was a constant influence on the culture that was beginning to develop there. Eleonor’s court was an important way of entry of the culture of the Cister in Spain, as we can see with the Monastery of Las Huelgas in the province of Burgos, founded by the kings, and the new cathedral which was being built in Cuenca. Cuenca was the city that, from its conquest from the Moors in 1177, was the focus of the young monarchs.